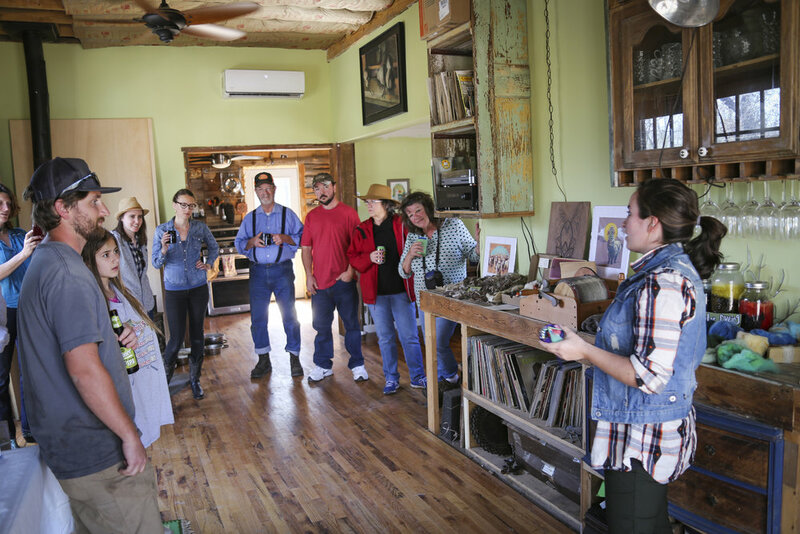 The BarnYard Saints Art shop is fully mobile, bringing art and rustic class to your special event or art fair. With years of experience running educational programs for summer camps and schools Danielle and Walker also are available for instructional demonstrations. 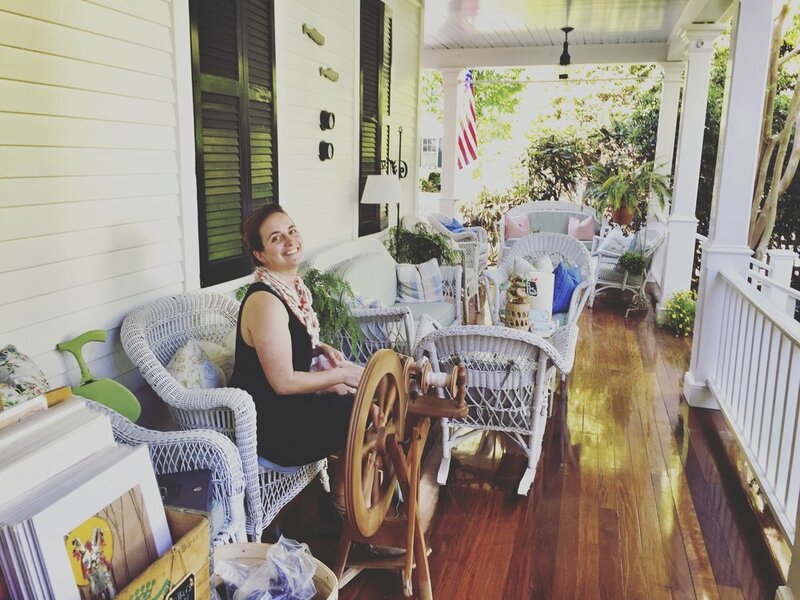 In our fiber art workshops participants craft their own drop spindles, an ancient tool for producing yarn. After instruction on how to use the new tools, Danielle and Walker lead the group in the art of hand spinning. Each participant leaves the 2-3 hour long workshop with their own spindle and handmade yarn ready for knitting or weaving! Ask about film making, dyeing, and painting workshops too! Danielle and Walker are also a mobile pop-up available craft fairs, wine tastings, or anywhere atmosphere and art are needed. 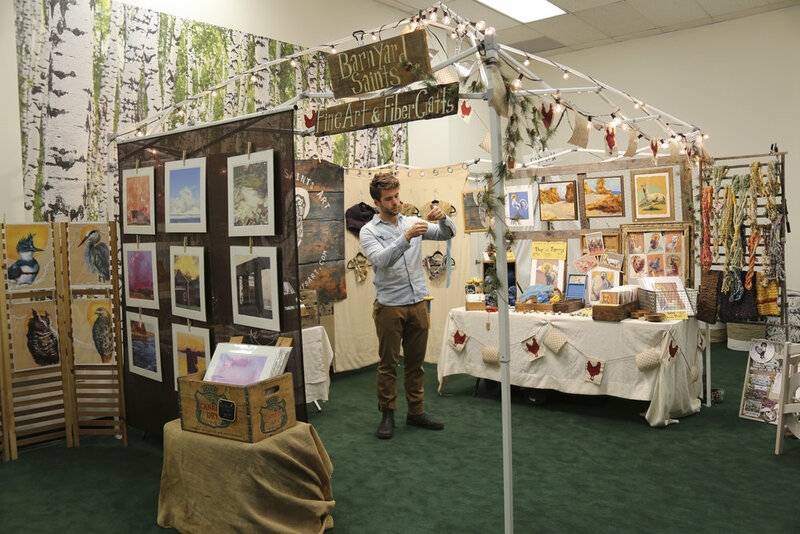 We can accommodate any size space or venue with simple fiber spinning demonstrations featuring spinning wheels and fiber tools or a full blown pop-up-shop featuring a rustic display of fine art, matted prints, and fiber crafts for sale.